San Miguel de Allende, is located in the mountainous central region of Mexico, part of what is referred to as the "Bajio" of the state of Guanajuato. This "low" region in reality averages about 7000 feet, but is so called for being a relatively flat area ringed by mountains. 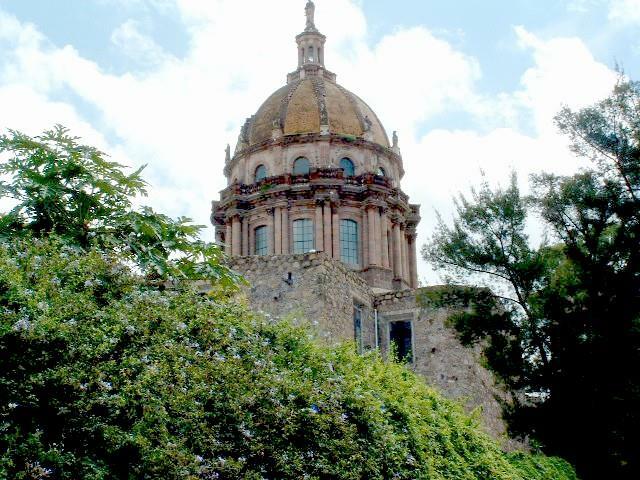 Originally known as San Miguel El Grande was founded by a Franciscan monk named Juan de San Miguel in 1542. It was an important stop over on the Antigua Camino Real, part of the silver route from Zacatecas. When the Mexican War of Independence began in the nearby town of Dolores (now known as Dolores Hidalgo) September 16th, 1810, an act now celebrated as "El Grito", the rapidly growing revolutionary army came to San Miguel El Grande. 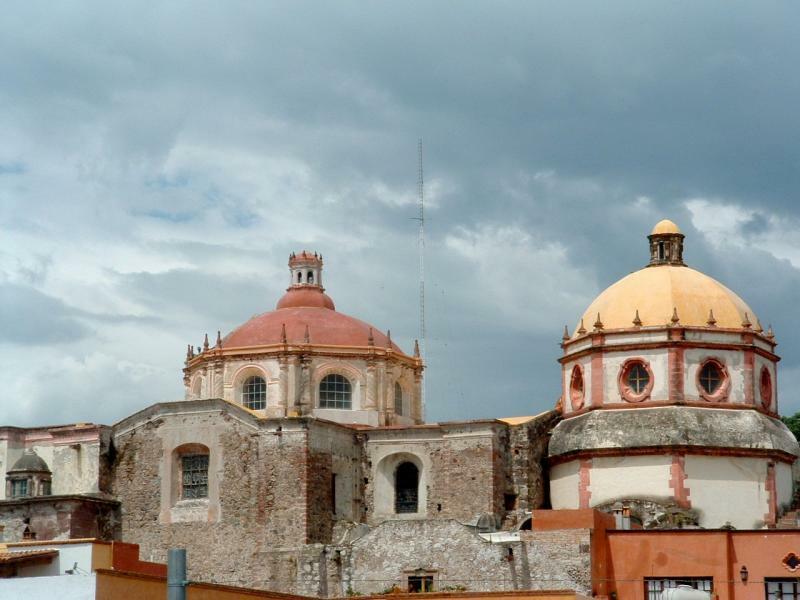 Dolores Hidalgo is now known as the "Cradle of National Independence", while San Miguel de Allende calls itself the "Forge of National Independence". It was in San Miguel that General Ignacio Allende joined the army as Padre Miguel Hidalgo's chief lieutenant and led the army to several victories. Allende was not able to enjoy an independent Mexico, free from Spanish colonial oppression, as he was captured during a battle and beheaded. General Ignacio Allende is now a national hero, and San Miguel el Grande renamed itself "San Miguel de Allende" in 1826 in honor of his actions. 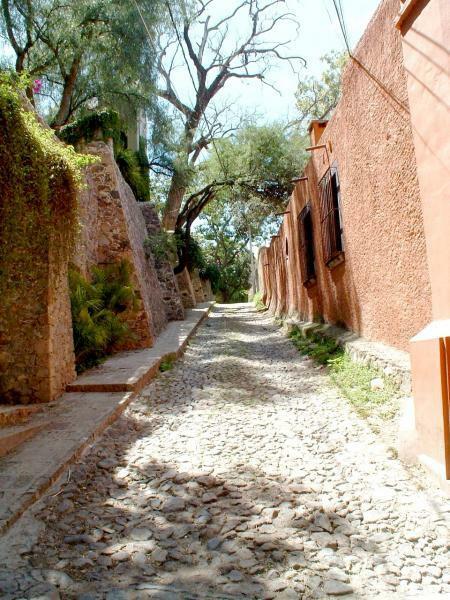 As the mineral wealth waned, the many caravans ceased, and by 1900, San Miguel de Allende was in danger of dying out. Having been declared a national monument in 1926 (no neon signs, no new style buildings), the old Centro district still has the colonial style elegance of its wealthy past. In the 50's San Miguel became a destination known for both its beauty and for its natural hot springs, the original known as Taboada. The world famous Mexican comedian, Cantinflas frequented San Miguel de Allende in the 50's and 60's, bringing with him an entourage of film stars, singers and hangers-on. It was after World War II that San Miguel began to revive as a tourist attraction, as many GI's discovered that their education grants stretched further in Mexico at the US accredited art school, the Instituto Allende, founded in 1950. 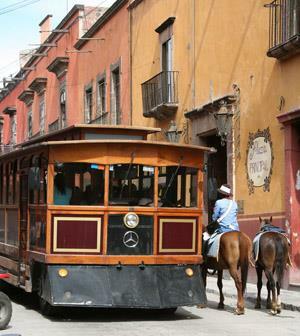 San Miguel de Allende is world famous for its mild climate, colonial architecture, and large expatriate population, which estimates number from 8,500 - 10,000. The majority are Americans, with a healthy percentage of Canadians, and smattering of Europeans and other nationalities.